Customer can't stay wide open in it because the engine falls flat and misfires. Neal@EQ can comment on that. To the engine, all it sees is load (airflow/rev). It doesn't actually see about MAP. MAP is an load estimate. It's just an indication of the air pressure in the manifold. VVT (among other things) effect the correlation between MAP and actual engine load. So to me, engine load cuts (as opposed to MAP cuts) is the better approach. i don't know what you mean by 'MAP is a load estimate'. Load is a load estimate. MAP is manifold pressure. I agree that MAP is only one factor contributing to engine load... hence why when trying to limit manifold pressure you'd want to use the MAP sensor, not load. Of course also just using the stock map means that there is no activation delay or way to control oscillation between the two states. i can't see the advantage of an ignition/load-based strategy over one that actually cuts fuel based on manifold pressure. different strokes for different folks, i guess... certainly wouldn't be the first time we've disagreed on a technical issue like this, probably not the last . That would be an interesting comparison. I'll ask the tuner first what the key differences are between tuning an EcuTeK vs OpenFlash vehicle. If we could squeeze something in i'd definitely like to see that result as well. The thing that is nice about the OFT is that you can sell the tablet eventually and get some money back. With a custom Ecutek tune, you really can't do that other than sell the cables or something. So I would rather have a custom OFT tune than a custom Ecutek tune. That's fine. I'm just pointing out that you chart compares the lower of 2 pulls on the OFT tune to the highest of 10 pulls on the Ecutek. By no means am I saying this was intentional. But I think it's important info to mention because a somewhat different picture is presented when comparing apples to apples. 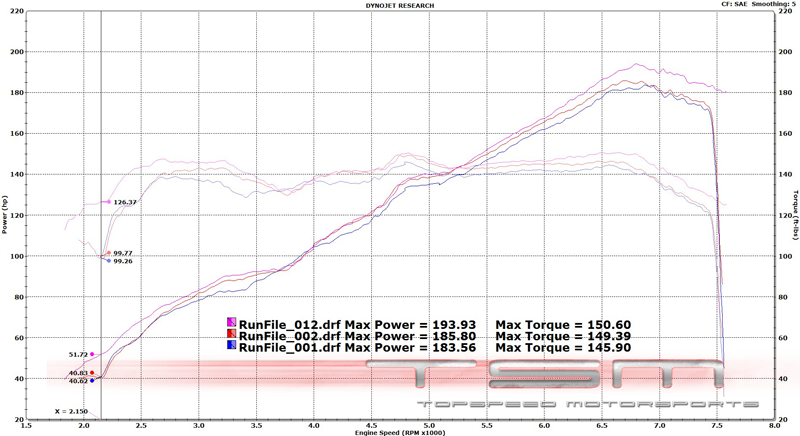 If you give me permission (this is your thread afterall) I can post up another dyno comparison that holds more testing variables constant. i don't know what you mean by 'MAP is a load estimate'. Load is a load estimate. MAP is manifold pressure. I agree that MAP is only one factor contributing to engine load... hence why when trying to limit manifold pressure you'd want to use the MAP sensor, not load. But you're not trying to implement a load cut. You're trying to implement a boost cut. I don't see what you're getting at there. It's pretty simple: you want to limit manifold pressure... you use the thing that senses manifold pressure. I get the point that load and manifold pressure correlate somewhat and that factors other than increased boost can result in increased load, but isn't that exactly what you don't want to respond to if you're trying to implement a boost cut? In any case.. i'm glad that you've found a way around it, even if we disagree on the implementation details. It will certainly save an engine... and at the end of the day that's what matters. No. The intention was to implement a load cut. This protects against wastegate failure or any other condition that would cause an overboost. As an aside, the Denso logic makes this quite effective since engine load isn't just a raw MAF value but rather an engine speed (/rev) corrected load variable. 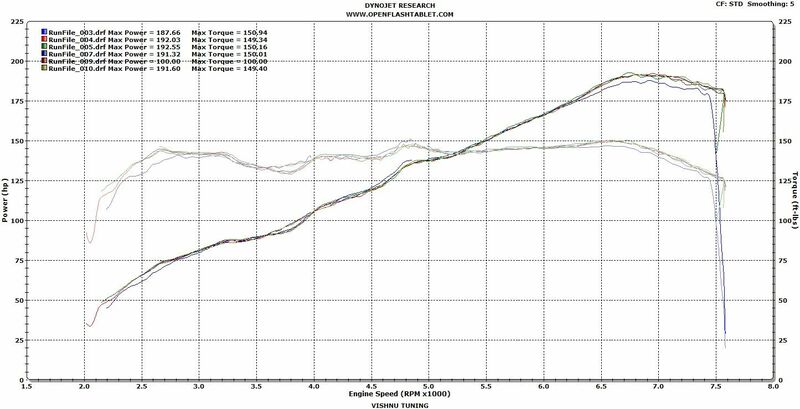 So adding a breakpoint just above the desired engine load and then another one just above that and mapping in substantial ignition retard does the job very well. Arguably better than a rather simple MAP induced cut which is oblivious to any thing that would change engine VE and result in a condition where the ECU sees same nominal MAP value with vastly different engine load. Sorry for being picky but when comparing two competent NA tunes (even a 91oct vs 93oct in this case), pickiness is required since we are not dealing with huge power differences. So not being picky and ignoring sampling bias (unintentional I'm sure) can lead the casual observer to skewed or exaggerated results. 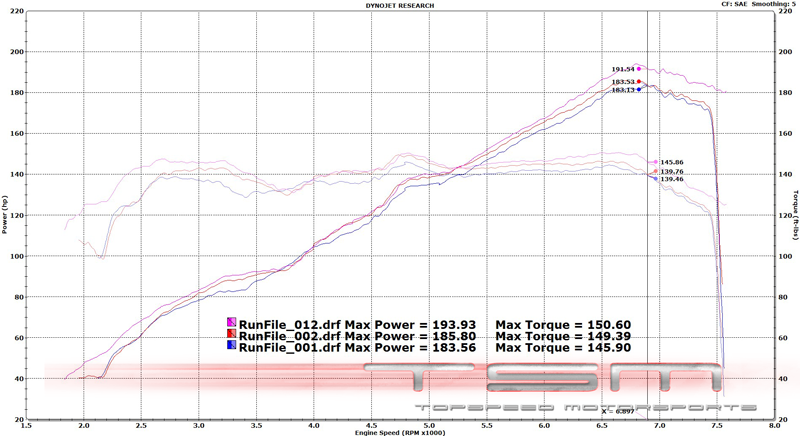 Not surprisingly this is more in line with what I would expect between a good 91 and good 93oct tune (the difference in power being primarily at high RPM due to running more advance up top with 93oct). The differences everywhere else are rather minor as one would expect with an NA car already running at or near MBT. The other graphs provided involve [unintentional] sampling bias which accounted for most of the dyno differences. And again, forgive me for getting picky but I do spend a lot of time calibrating our OTS maps. So when someone compares them to something else, I apply the same pickiness in analyzing the data as I do with creating the OTS map. Not necessarily to refute the comparison but also possibly to learn from it. So please don't take my involvement in this thread the wrong way. Still, it would be nice for the purpose of transparency to change the graph in your original post to the one provided above. I think it is as fair as possible given the sample pool you provided. And again, thank you for being transparent and providing all the dynojet run files. Last edited by Shiv@Openflash; 07-16-2014 at 06:44 PM. I'm convinced you should have been a lawyer. In my opinion, the thread isn't done until that dyno comparison in your first post is replaced with something fair and valid for the reasons I took the time to politely and clearly explain earlier. Agree this thread has seen a lot of good info revealed and sensible logic based debate.